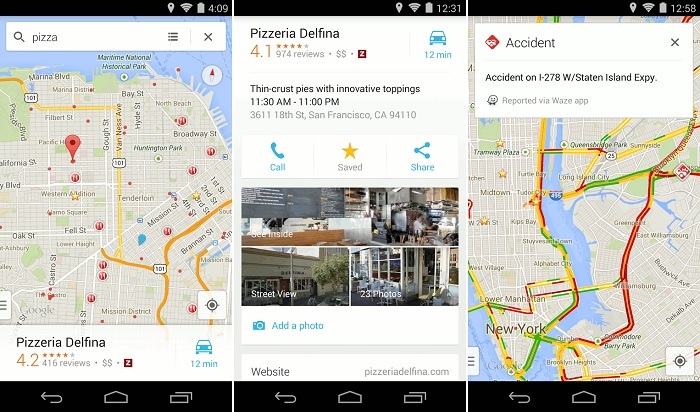 Google Maps remains the most preferred app when it comes to navigation. This app remains best not only from the usability perspective but also from the diverse capabilities offered to the application end users. The weekly/frequent timely updates just adds rich value to it. Aside from the very basic navigation functionality, Google Maps provides access to traffic data, directions to different stoppages or places of interest and also has the extended functionality of offline maps now. If you are looking for a comprehensive navigation app loaded with additional features, you don’t need to look any further. Looking to increase your productivity or integrate some new habits in your daily schedule? Well, if you’re determined enough, then Loop Habit Tracker makes it very easy to keep yourself on the line. 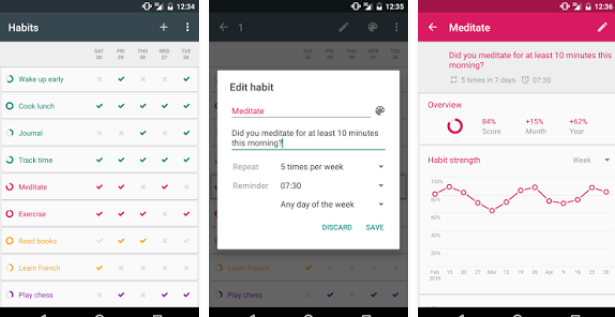 You can add all the habits in the list and keep them in check with the help of reminders. Your progress will be presented in the form of detailed graphs. Depending on your streak and other advanced algorithms, your habit strength is also determined. So if you want to up your productivity game, Loop Habit Tracker is your key. 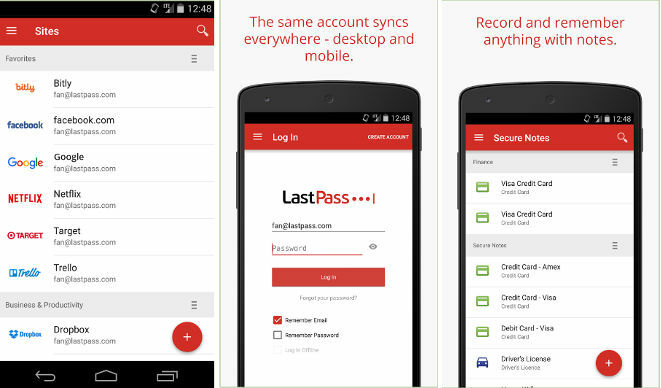 LastPass is a key app for distinguished Android users who want to save their login credentials in a secured environment. In addition to this, the app provides master password to ensure that your account is safe from unauthorized access or unwanted users. The app works perfectly on computers, mobile devices, tablets or whatever device you wish. Nowadays LastPass comes along with LastPass Authenticator that provides extra level of security to your account settings. Tasker is one of the coolest Android App considering you take out some time to understand its features and capabilities. It allows users to create custom made commands and then use them as and when required. 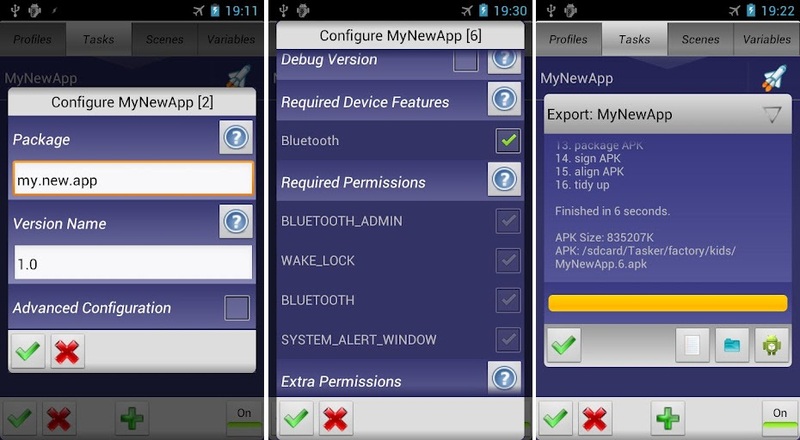 Tasker can also be used for complex commands creation for NFC tags. It is available free of cost and can be downloaded from Android play store. Sitcom culture is on rise. They offer power packed entertainment in almost every genre. But there just too many of it even if you’re not a beginner anymore. In order to avoid a clash between your daily life and sitcoms, you need an app which manages your time table. With TV Time, you can create a custom calendrer for yourself and include the TV shows that you’re currently watching. The app even alerts you when a new episode is released. It keeps track of where you left off and the air dates for upcoming TV shows. The rich variety of applications makes it super cool. Some of the features of these apps include live collaboration, sharing options and compatibility with Microsoft Office documents. We have listed some of the coolest Android apps of 2017 based on the rich capabilities and smart features. So don’t waste a second and download them on your Android smartphone to explore these apps further. Author Bio: I’m Nicholas, a 22 year old guy who likes to write about technology which we use in our day to day life. You can read more insightful articles on my TechUnknowns blog.